Yes, Bangalore is not the most famous Indian city. Bombay, Delhi or Calcutta are usually the first we think of when it comes to India. Which is quite fair as Bangalore is a very recent metropolis which has seen its population increasing dramatically in the past decade. 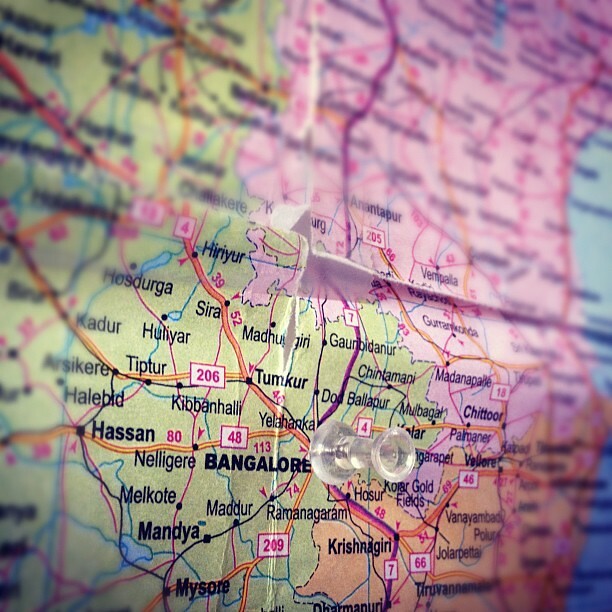 So fast, that Bangalore is even ranked today as the third city of India (with almost 9 millions inhabitants). To give you a little sum-up, this city has experienced a first boost during the British rule who decided to move their administrative capital of Karnataka from Mysore to Bangalore because of a more reasonable climate. Now coined as the second Silicon Valley of the world, the city took off thanks to the development of IT companies dealing mainly with outsourced jobs from US (including call-centers, off-shore coding…). The city is also the nest of many military barracks and a huge aeronautical sector. Geographically, the city is in the south of India, right in the middle of the four South Indian States, Karnataka of course whom it’s the capital, but also Tamil Nadu, Andra Pradesh and Kerala. All those states have their own culture, language and cuisine, giving a multi-ethnic sense to the city that we can’t see at first with our foreign eyes but that we can discover day after day. Concerning heritage, to be honest, Bangalore has not much to offer, but it’s pretty thrilling to be in a city in constant move. Bangalore is clearly more a city to experience than to visit. From what we know in Indian big cities, Bangalore is greener and softer that its counterparts, making it easier to live in without being boring at the same time. For the most curious, you can also go to Wikipedia to learn more and check if what we’re saying there true.